Horry County is South Carolina’s second-largest county in size and fifth-largest county in population (269,291). It borders North Carolina on the northeast and the Atlantic Ocean on the southeast. 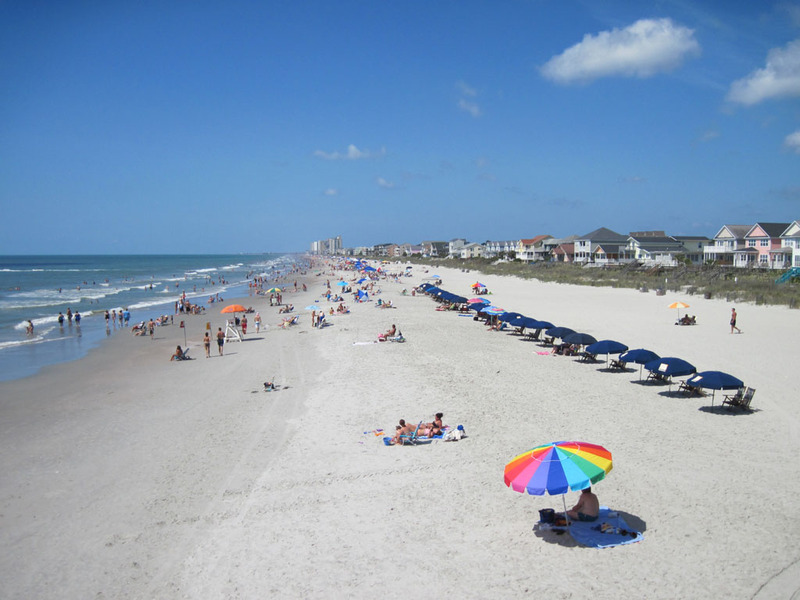 With its many miles of beaches, Horry County is a popular area for tourism and retirement; its population is about four times as large as it was in 1970 (69,992). 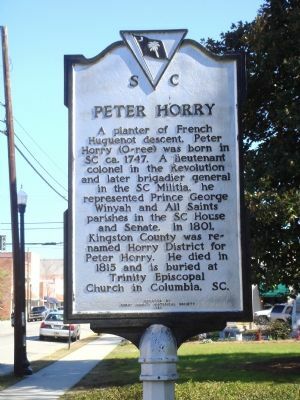 The county is named for Peter Horry (1743-1815), a Revolutionary War hero. No other county is named for him. This northeastern part of South Carolina is called the Pee Dee region, named for the Pee Dee Indians who lived in the area. The county seat of Horry County is Conway (pop. 16,317). TV personality Vanna White was born in Conway in 1957. She’s been on “Wheel of Fortune” since 1982. 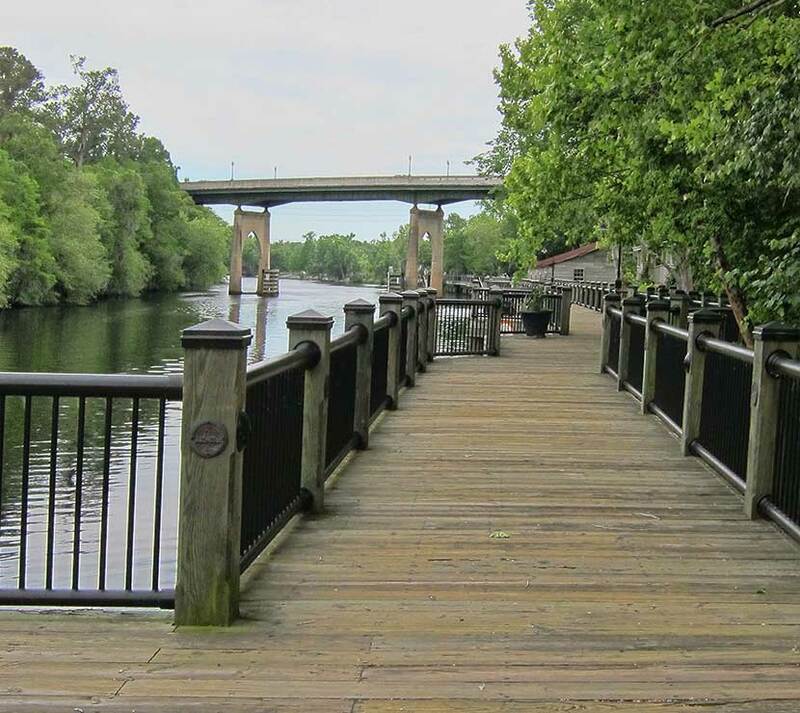 Conway has a Riverwalk along the Waccamaw River. 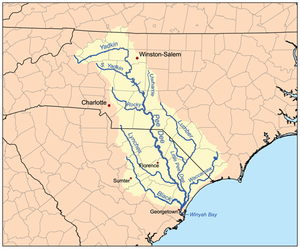 The 140-mile-long river starts in North Carolina. Coastal Carolina University is in Conway. Founded in 1954, it has about 8,000 students. Myrtle Beach (pop. 27,109) is the largest city in Horry County. 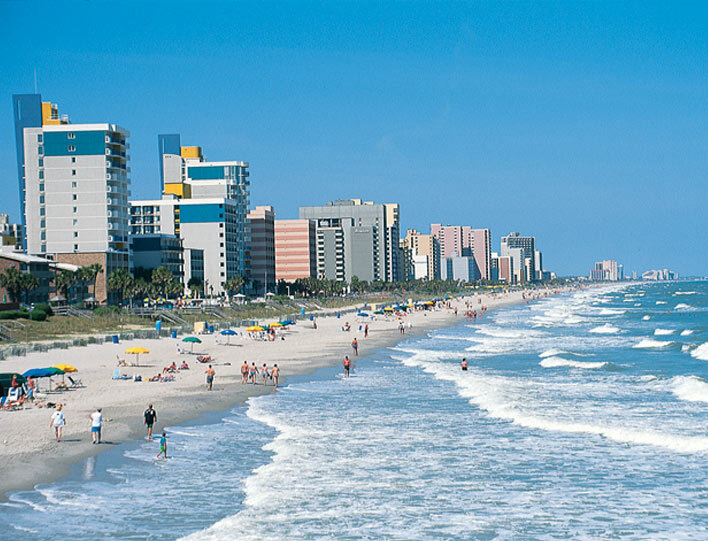 It’s along the Grand Strand – a nearly uninterrupted stretch of 60 miles of South Carolina beach. 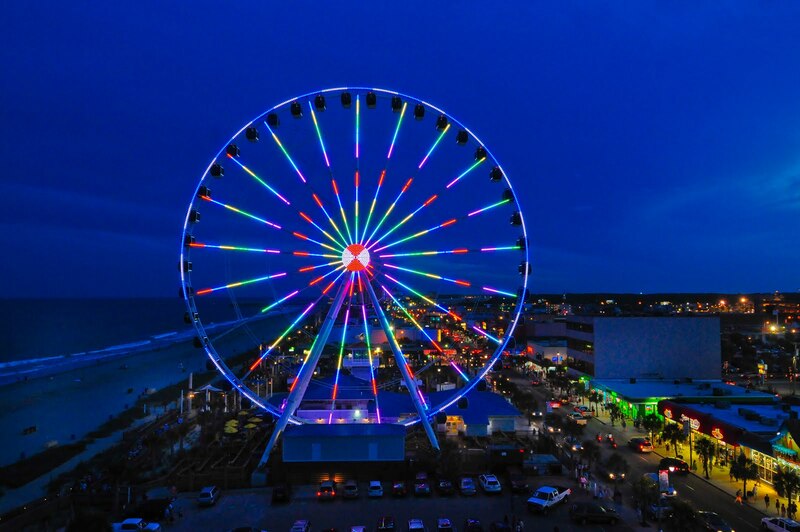 Since 2010, Myrtle Beach has added a one-mile Boardwalk and the 187-foot-tall SkyWheel.